DIY topiary…you can do it! Fall is one of my favorite times of theYear. It is crisp outside and so colorful. 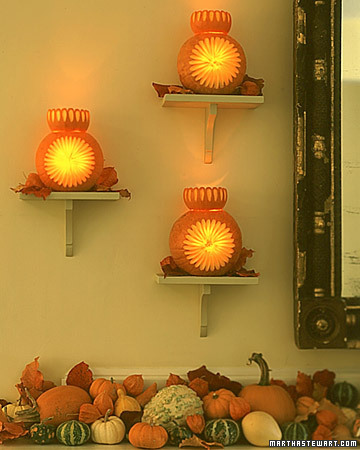 As a designer I love an excuse to decorate…new season..new look.Here are some of my favorite ideas forusing pumpkins and other fall foliage. 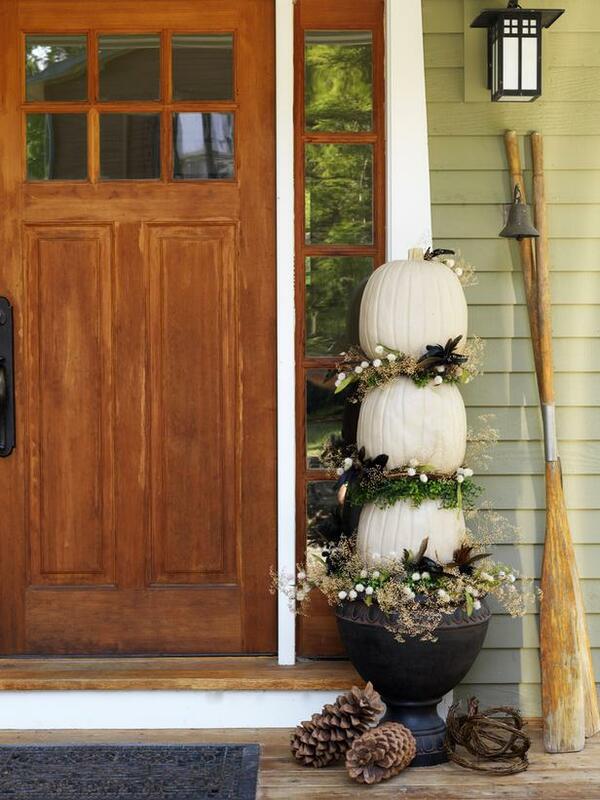 Lovely front door…more is more in this case. 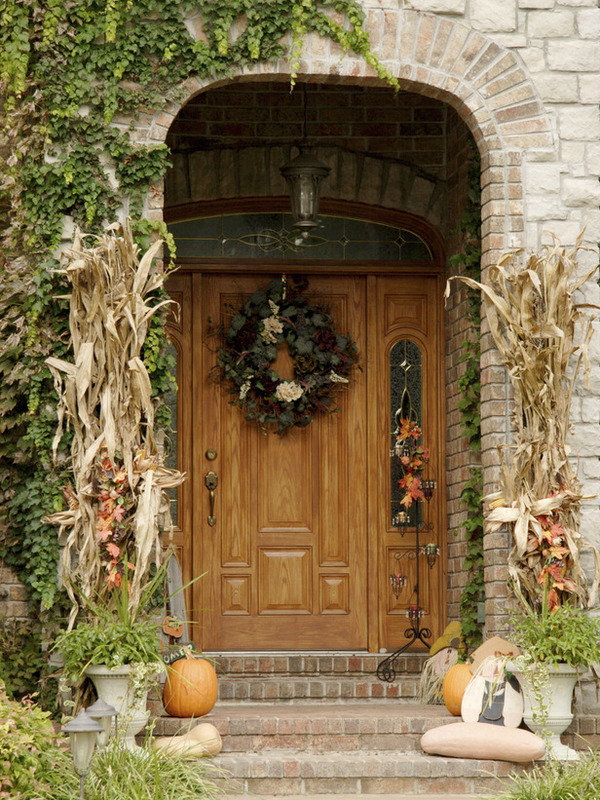 I love the corn with the pumpkins and fall wreath. 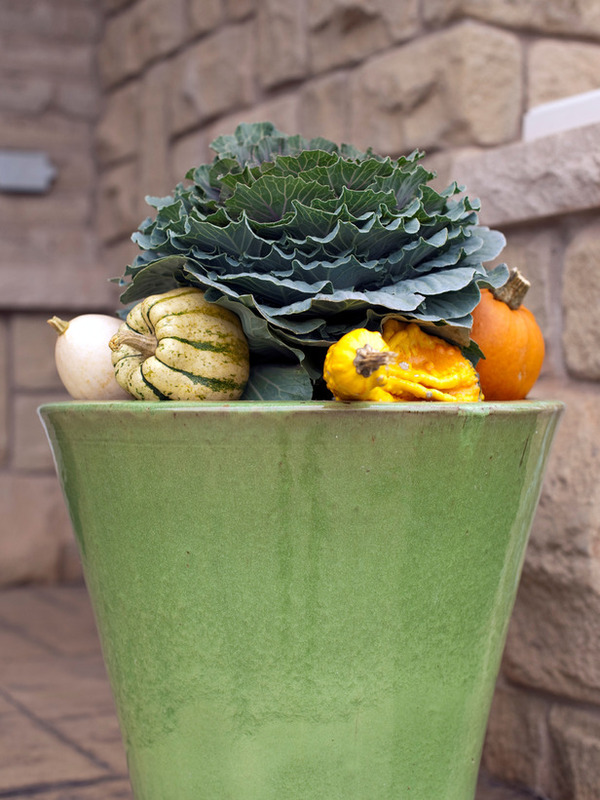 This is an easy fall look, Kale, and mini gords…these are available at every grocery store…no excuses you can do this! What do you love about fall? 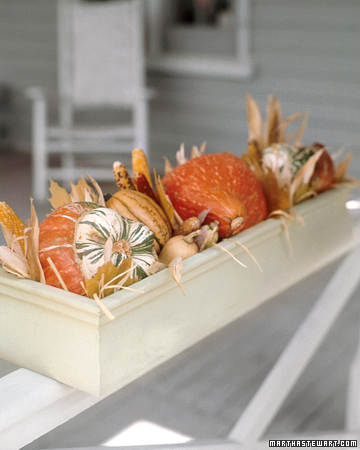 Do you like fall colors, flowers, pumpkins…food? I like all of those things, this year I have 20+ in-laws coming for Thanksgiving…I love a big crowd. I hope you all enjoyed this post. Please like us, follow us and talk to us (comment). Thank you for reading my post! Happy Fall. I love, love, love that DIY topiary!